For the shape see Corinth XIII nos. 147-148. 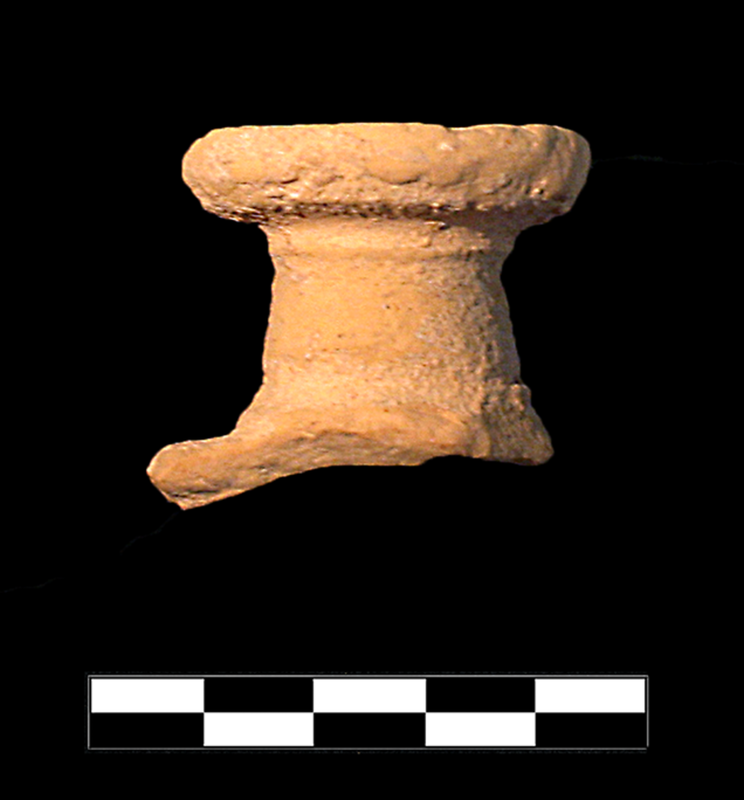 Lid of Corinthian lekanis. 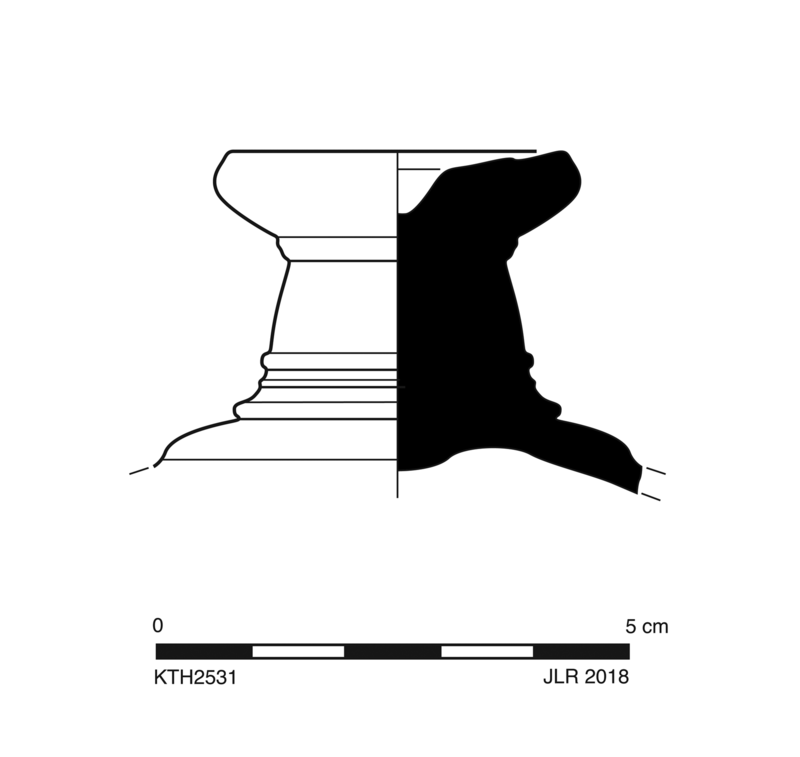 Upper part of knob is partly broken away but consists of circular upper surface, slightly recessed, with central conical depression; and torus outer profile connected to short neck. Neck flares out slightly to connect to low, conical lid with trace of concentric step. Classical. Fine, moderately soft clay with some tiny voids and inclusions. 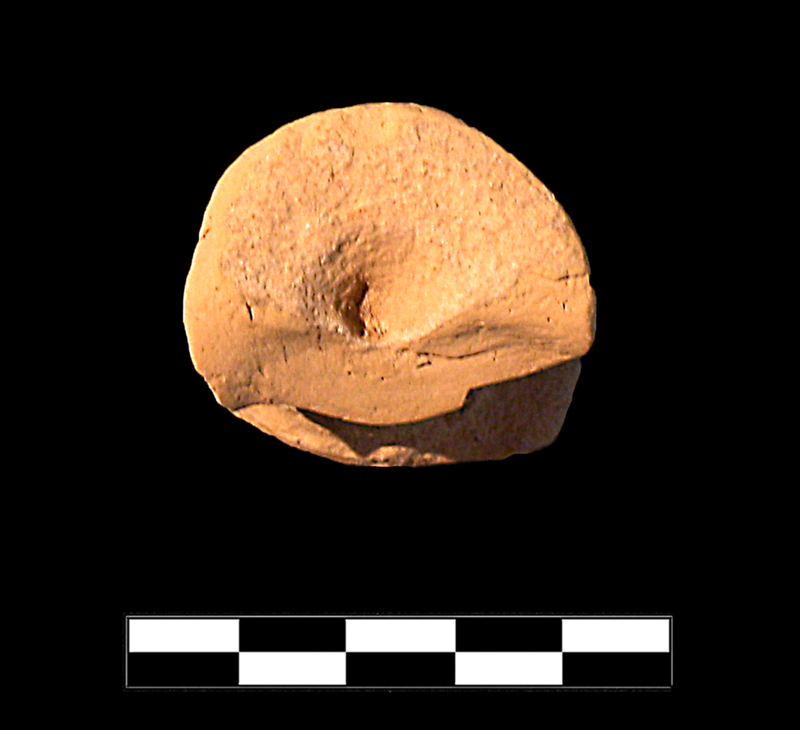 One sherd preserves almost entire knob. Heavy, extensive abrasion and chipping on all edges and surfaces; specks of encrustation.